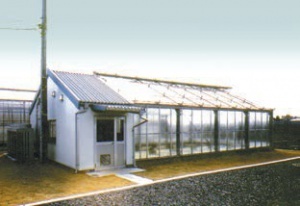 ● TAH which used Agri-glass(infrared cut filter) is a greenhouse that can be used widely such as R&D and production. 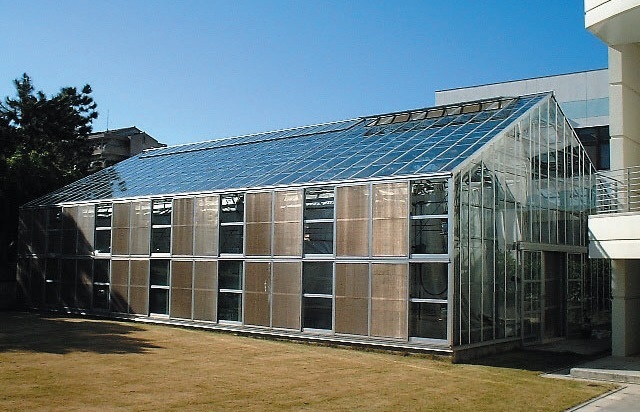 ● Using Agri-glass on outer wall of greenhouse, can reduce running cost by suppressing air conditioning load in the summer. ● It is preparable that various size (from compact to large) and requirements. 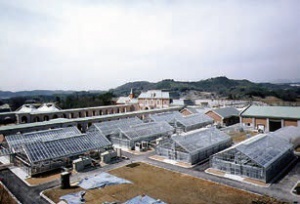 ● It is also preparable that non-closed and closed system of biohazard. 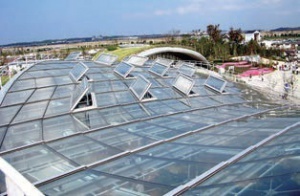 ● Temperature, humidity, carbon dioxide concentration, and opening and closing of ceiling and windows, is automatically controlled by a computer. 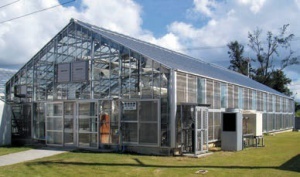 ● Light supplement, cultivation equipment, air conditioning system, a control device, etc. are designed and proposed for the intended use. 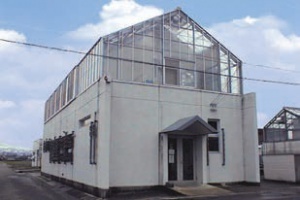 ・Large roof type single-span greenhouse. It　is best for small to medium sized facilities, and possible to make attached type. 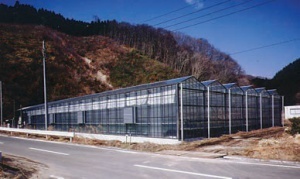 ・Agri-glass (3-5mm) is to transmit only　necessary light for plant growth and can　reduce running cost. 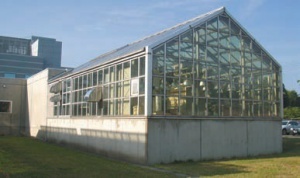 ・Multi-span greenhouse which has a lot　of results in Europe, is suitable for medium to large sized facilities because of high eave height and excellent light shaft. 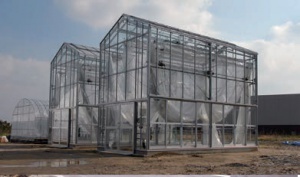 ・Robustness which can withstand 50m/s of wind speed is also included, and it is　responded flexibly to facility expansion.